As a child, I remember my dad would make us muffins for the week. He would make them from a box mix and store them in a large Tupperware. Sometimes it would be butter pecan (still my favorite) and sometimes cherry flavored but almost never chocolate. I guess my dad wasn’t too keen on chocolate. Today, as I send my daughter off to school, I like to add a little baked “goody” in her lunchbox. Whether it be a cookie or a muffin, I always prefer to make them from scratch rather than to give her the store-bought stuff. 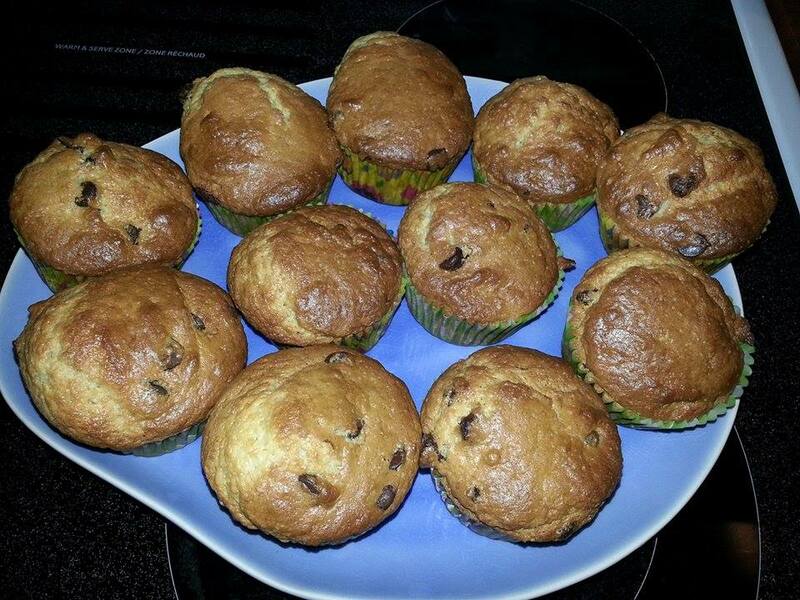 I could always do like my dad and make the box mix muffins, and I have, but I love the challenge of trying out new recipes. I have a confession to make. Last week with back to school, back to work and setting up my blog, I didn’t have time to bake. And when my daughter pointed out the wild blueberry muffins in the supermarket I caved and bought them. Midway through the week I decided to have one of the muffins for breakfast; I unladylike spat out my first and only bite. I felt like the worst mom ever for sending her off to school with these yucky YUCK muffins. So! Today I rummaged through my pile of recipes looking for my sour cream muffin recipe and couldn’t find it. Thank God for Google. I pulled up a few recipes, studied them, and tweaked them and voilà…DELICIOSO! Olivia (my daughter) had one 10 minutes after they were done...she loved it! SCORE!